The next morning, at breakfast, when I was half-awake, Mr. Jenks spoke to me, looking over the top of his paper, asking me what my choice would be if I had to choose: to live with my mother or stay with them? That wasn’t any choice at all. I didn’t like the thought that my mother cared so little about me that she had abandoned me when she’d gone to San Diego, even if my life had been much better since then. But now she wanted to come back and take me away from this, take me back to something I didn’t know. I’d only met her parents once, when I was little, and hardly remembered them, other than her father had a mustache and I was a little scared of him. I didn’t know anyone in Dubuque. I was pretty sure that I’d learned it was in Iowa, but I’d have to look it up to be sure. I wasn’t even sure about where Iowa was, other than it was someplace in the middle. Don’t they grow flax there, or something like that? And what’s flax, anyway? I didn’t know anyone there, I’d never been there, I didn’t know what her parents would be like now that I was older, I didn’t have an almost boyfriend there like I did here, I didn’t like the idea of sleeping in the living room where anyone could walk in and see me, and maybe I’d kicked the sheets and blankets off, especially if I’d kicked the sheets and blankets off, I didn’t like the idea of not having any privacy, I didn’t like not going to school—the whole thing was fucked. I did like living with the Jenks. I loved it. So there wasn’t really any choice at all. I wanted to stay where I was. I told Mr. Jenks that. So he told me what his lawyers said. And it sounded OK to me, but as I said, I was only half awake. He had me sign something, then left. I went back to my cereal and toast. I never had been a morning person. At lunch, Darryl smiled at me, and I smiled at him, and he asked when we could swim again, although the way he said ‘swim again’ didn’t sound like he was thinking about getting wet, at least not with pool water, and I might have blushed. I told him after school would be good, and he asked me if I’d be his boyfriend. For however long we had. My eyes opened wide, and I nodded. Really hard. In the halls, I saw Gary, and told him Darryl and I were boyfriends; that he’d asked me. Gary high-fived me, then surprised me by kissing me on the cheek, a quick peck, and started to tell me how happy he was for me, when we were interrupted. Mr. Johnson was looming over us. He turned and marched, and we followed like, well, we followed him. “You two queers are in trouble,” he said, when we were sitting in front of him. “Uh, you aren’t supposed to have any contact with me,” I said, somewhat bashfully. I was getting better at standing up for myself, but not so much with him. “Why in trouble?” Gary asked. He didn’t seem intimidated at all, only curious. “You kissed him. If that’s not a Personal Display of Affection, what the hell is it?” Mr. Johnson didn’t like students talking back to him, and Gary just had. “Not only that, but you’re both perverts! There aren’t any rules about that, but there should be! When I went to school, we knew how to handle guys like you. Took ‘em out under the bleachers and showed ‘em what we thought of them and where they stood.” He stopped and smiled, remembering, I guessed, what it felt like to be part of a whole group of guys smashing two boys who probably weren’t any better than I was at protecting themselves against a mob. “What are you talking about?” Gary looked like he was getting upset. I’d never seen him really upset. He was easy-going, friendly, outgoing and had leadership qualities and a certain benign composure even at his age. I realized right then, he was like his dad. Mr. Jenks was the same way! I watched as Gary began arguing with Mr. Johnson, not in awe of the man at all, even though Mr. Johnson was getting hotter and hotter, and his comments sharper and more cutting. As I watched, I noticed the strangest phenomenon. Normally, I’d have been looking for a hole to crawl into about then. And, it wasn’t happening! I wasn’t retreating into my shell at all! I’d always hated confrontations, and that was one reason adults like Mr. Johnson, and my mother, bothered me so much. Their natural response to any sort of argument was to shout back and get louder and louder, which meant I always began pulling back into myself almost from the start. Even if I wasn’t the one being yelled at, that was my reaction. Now, however, all the physical responses I’d always felt, the tight stomach, the nervousness, the cold sweating, the shivering, the rapid heartbeat, my brain shutting down, were absent. I recognized that, and found it more than remarkable. It was amazing. I wasn’t scared! “Bring it on!” That was Gary, and he was on his feet, yelling as loudly as Mr. Johnson was. Both of them were as close to each other as they could get. If the desk hadn’t been between them, they’d have been at each other’s throats. Which wouldn’t have been good as Mr. Johnson had at least 150 pounds and six inches on Gary. The auditorium was full and noisy but quieted down when the three of us marched down the aisle and then up on the stage. Everyone knew Mr. Johnson. “I called this assembly because there has been a breach of school rules.” He made his announcement staring at the gathered students. Gary and I were standing next to him. Well, next to, but separate from him, too. We couldn’t move too far away, but we didn’t want it to look like we were together and in agreement with him in whatever he was going to say. We didn’t have any place to sit. We had to stand. I don’t know how Gary felt, but I was embarrassed and acutely uncomfortable. Mr. Johnson spoke into the cordless mike he was using, and moved back and forth across the stage, much like an evangelist preacher, so he was reaching all sections of the audience equally. He was a bigger than life figure, commanding in his presence. He looked at us with condescension. We looked back at him with blank faces, although I may have looked a little puzzled. He looked furiously at the students, who’d perked up a little when they’d heard what the accusation was, and saw the two of us standing there. Hey! This was good stuff! I don’t know what he was expecting from that. Perhaps at minimum a collective gasp, or more appropriately, shrieks of “OH, NO, NOT TWO BOYS!” What he actually got was no response at all. Two boys kissing was evidently a major deal to him. To the school, it didn’t seem to be much of anything. Ordinarily, it would have at least provoked curiosity about who the boys were, had he not had us on the stage with him. So, not even that was a mystery, and so, what was the big deal? He stopped and looked out at the students, who apparently didn’t understand they were right then and there supposed to show us their contempt. Maybe they were supposed to boo us, or shout derisively at us? Mr. Johnson hadn’t made it clear, and the kids didn’t know and weren’t responding. So, he tried again, and by now, he was getting a little peeved that the message wasn’t being received the way he’d expected it would. “It’s time for you all to let these two perv—uh, miscreants—know what you think of them. They’re gay, and were acting out their perverted natures in public where some of you had the misfortune to witness them. I don’t want that in my halls. YOU don’t want that in YOUR halls. Let these two know how you feel!” That said, he stuck the cordless mike out toward the crowd, almost demanding that they express their contempt for us. They didn’t. They just sat there. Most of them looked confused. So did Mr. Johnson, but he was so full of himself, so sure of his own correctness, that he wasn’t going to be put off. If the kids in the audience didn’t understand it, I could imagine him thinking, then it was a very good thing indeed that he was there to set them right, to use this as a teaching moment. Gary looked troubled. Which, of course, wasn’t very Gary-like. I probably looked uncomfortable, too, but then, I hated talking to a group, and this was the entire school. I wondered why Gary would have a problem, and in the brief time I had, thought about it. Then I reached up and took the mike from Mr. Johnson. He got a smirk on his face. Little did he know. I stepped to the middle front of the stage, looked at the students, and felt my stomach playing volleyball with itself, my usual reaction to being in front of a crowd and expected to speak. I took a quick glance at Mr. Johnson, who was looking smug. A glance at Gary showed him looking uncertain. It was up to me. All that self-serving talk to myself about standing up for myself came back to me. I remembered that old phrase, it’s now or never. But, I was still me. How could I possibly do this? I knew I had to try. This was my chance to stand up not only for myself, but for Gary, too, and stand up against Mr. Johnson. The kids in the audience didn’t look hostile. I realized they were probably more on our side than they were on Mr. Johnson’s. They didn’t like him. They didn’t know me. So I was one up on him. Well, maybe half of one up on him. But of the two of us, I certainly had more support. It was up to me to do this. It was time. No guts, no glory. “Hi,” I said. “I’m nervous.” Then I turned the mike on and repeated it. That got a small laugh, and it sounded like a sympathetic one. OK. That helped. They weren’t against me, at least. “Mr. Johnson wants me to apologize to you. He may not let me say everything I want to say. He may take the mike away from me. He’s bigger than I am.” Another light laugh. Mr. Johnson’s eyebrows were wrinkling, and when I said that, he frowned and took a step toward me. Gary did too. Mr. Johnson didn’t like this. He wanted a confession, an apology, not this, whatever this was. “That’s enough,” he said loudly, and came to take the mike away. It probably was funny, because of their size difference, but Gary was between Mr. Johnson and me, and Mr. Johnson was trying to get to me, and Gary kept moving to stay between us. Mr. Johnson was in a pickle. He couldn’t get to me without going through Gary, and doing that in public was something that would quickly become a problem he didn’t know how to deal with. He stopped. And I kept talking. That brought another laugh, louder this time, and a lot of kids were really listening now, sitting up in their seats. They hadn’t been expecting anything like this. “What?” That came from the back of the room. The kids in the audience turned to see who’d said it. I looked, too, and saw our principal, Dr. Jacoby, standing in the back by the auditorium doors. He walked down the aisle to the front, then climbed up on the stage. He looked at Mr. Johnson, who took a step back, then walked up to me. He had a presence about him, and I saw in his eyes some of what I’d seen in Mr. Jenks’ eyes. A solid, self-assured confidence. I felt something from him. I didn’t know him at all, had never met him—he was often away at conferences and meetings, and we shared him as principal with another high school which took up more of his time, allowing Mr. Johnson to have a lot of control—but somehow I knew he wasn’t anything like Mr. Johnson. I watched him waiting for a response from me, and wished I’d gone to him at the time Mr. Johnson had slapped me. At the time, I hadn’t been standing up for myself. At the time, I was just the old me, being me. I wished I could have a do over, but what was past was past. And then a thought occurred to me. 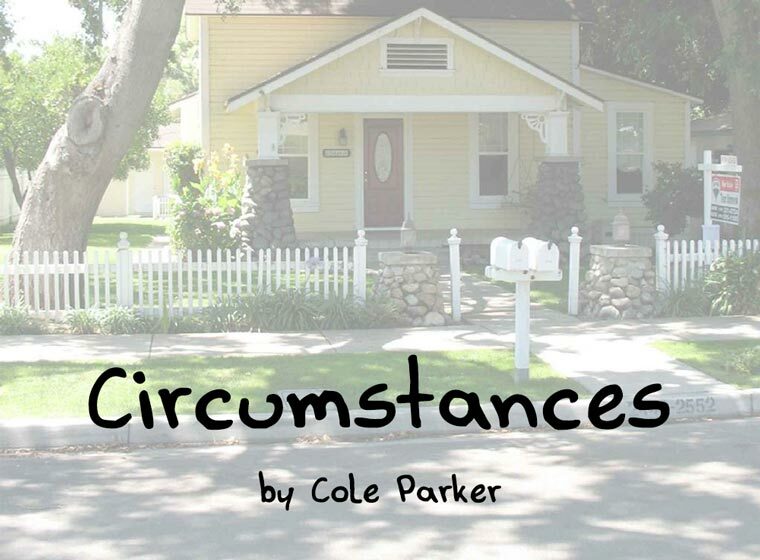 My circumstances were different now than they had been then. So were Mr. Johnson’s. After school, Gary and I were sitting on the patio. Hummingbirds were darting around like they did, except when they were hovering. One hovered right in front of me, about three feet away, for about 5 seconds. He seemed to be studying me. I was sure studying him. Then he darted and swooped and was gone. But there were several of them. I watched another, and listened to Gary. He was praising me. That made me uncomfortable. I hated getting criticized. I liked getting praise, but I’d had so little of it in my life, I wasn’t sure how to react. So I was trying to pay more attention to the hummingbirds than to Gary, but some of what he was saying couldn’t help but filter through. “We didn’t do much. You’re the one who’s changed. Not only your mood and personality, either. You’re taller now, too, and you’re gaining weight. Oh, and shaving, remember. Also, you carry yourself differently, now; you stand up straighter. You get involved in conversations more, just jump in instead of sitting quietly in your chair, looking as though you’d like to hide in it. I’d point out a couple of other things that have changed, more personal things, but you never know who might be listening.” He grinned at me, and as he had an infectious one, I had to grin back, even though I wished we were talking about something else. OK, maybe I was getting a little worked up, but it felt good, even if my eyes were suddenly having a little leakage problem. It felt good to be able to voice something of the feelings I’d been having. Some of the gratitude I felt. I was happy to do that. It’d be hard for him to talk any more and further embarrass me if he was under water. We were still in the pool when Darryl came out onto the patio. Mrs. Jenks had let him in. He took one look at us and began stripping off. He got down to his boxers, then let out a whoop and ran to the pool and dived in. I guess he forgot that diving while wearing underwear is much different from diving in Speedos. But I was glad he had forgotten, because Gary and I had fun for the next ten minutes playing keep away with his boxers, which he had a hard time recovering from us, what with trying to keep one hand between his legs the entire time, and for all the laughing we were all doing. He did get them back, eventually, but had to expose himself quite a bit doing so. I wondered if Mrs. Jenks was looking; we were sure making a lot of noise. If she was, she never let on. She was pretty good about not embarrassing kids. That night, after dinner, Mr. Jenks called Gary and me into his den. When we were all seated, he told me he’d learned my mother would be terminated the next day. He said it was likely she’d be let go in the morning. She’d be told that she’d get one month’s severance pay, but she would be asked to clean out her desk immediately. He thought she’d probably get her stuff from work, then pack all her other stuff in her car and drive north. He figured she’d probably hit our town around five in the afternoon, if traffic was normal. He’d explained it all to me a couple of nights before. It was weird, but we’d talked about what he was planning to do, and I’d decided to go along with it. He’d not been sure it would work, but had thought the chances were pretty good, and I sure hadn’t had anything else to suggest. So after school on Friday, Gary and I went out the side door and found a limo was waiting in the parking lot. We climbed in, and were driven to the hotel. I don’t know about most 14-year-old boys, but I know about this one. Me. I know that spending the night alone with your best friend in a fancy hotel, no parents around, eating in a five star restaurant, visiting their spa, having a massage—and let me tell you, that was something different, especially when you get hard as easily as I do and, well, moving on—ordering one of their adult movies on the TV in the room, ordering hot fudge sundaes from room service, sampling one of those little bottles of scotch in the mini-bar and deciding you had to be nuts to like that crap, showering together in the huge multi-head shower they had, the whole ball of wax, well, it was all exciting and fun, and I didn’t think about my mother at all until we were both in our beds, and then I got out of mine and crawled into Gary’s, and was finally able to get to sleep.